Announcing Your 2018 CMO Awards Finalists! We are one step closer to announcing the winners of the 2018 CMO Awards! 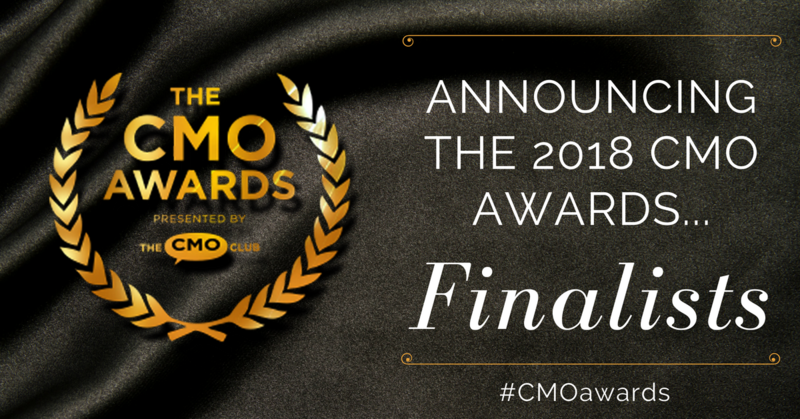 First, you nominated the top CMOs in the business and now The CMO Club is pleased to announce the 2018 CMO Awards Finalists! The awards recognize top senior marketing executives across 10 categories, selected by their peers. See who has been honored as a finalist for each category below. The CMO Leadership Award is based on a marketing executive’s demonstrated leadership in building, leading and motivating a high performing marketing organization. The CMO Innovation Award is on a marketing executive’s demonstrated capability in creating an innovative environment that delivers break-through marketing and game-changing outcomes in ROI, customer engagement, and/or for the industry. The CMO Transformation Award is based on a marketing executive’s demonstrated ability to lead company wide brand transformation beyond the marketing department. The CMO Rising Star Award is based on less than 10 years of experience and a marketing executive’s demonstrated capabilities in leading an organization, fostering marketing innovation and spearheading the growth agenda. Stephanie McMahon, Chief Brand Officer, WWE Inc.
Jennifer Wong, Head of Marketing, Convoy Inc. The CMO Growth Award is based on a marketing executive’s demonstrated leadership in the development and implementation of new strategies, tools and programs resulting in significant company growth. The CMO Social Responsibility Award is based on a marketing executive’s extraordinary approach in corporate social responsibility and/or cause marketing efforts for social and other charitable causes. 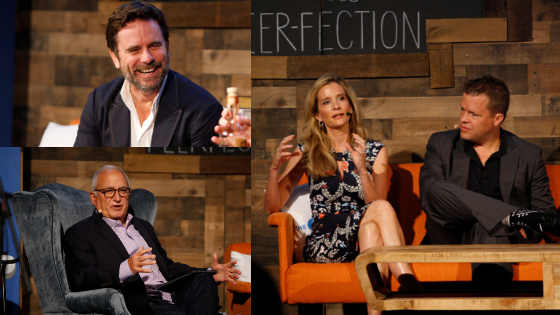 Mark Hanna, CMO, Richline Group, Inc.
Jennifer Sey, CMO Global Brands, Levi Strauss & Co. The CMO Content Engagement Award is based on a marketing executive’s demonstrated leadership in creating and curating relevant and valuable content to develop brand affinity, engage audiences, create community and positively impact customer experiences. Sheryl Adkins-Green, CMO, Mary Kay, Inc. The CMO Customer Experience Award is based on a marketing executive’s demonstrated leadership in creating high impact customer experiences. The CMO Creativity & Storytelling Award is based on a marketing executive’s demonstrated leadership in stand-out story telling and creativity that separates the brand from others in the category. The CMO Club President’s Circle Award is based on a marketing executive’s demonstrated dedication to the mission of the CMO Club by building relationships with peer members, collaborating and sharing with members and helping new CMOs to benefit from the peer-based community conversations. A total of four winners per category will be announced in October. The 2018 CMO Awards “CMO Hall of Fame” Inductee will be announced at the Fall CMO Club Summit. All 2018 CMO Awards finalists, winners and the CMO Hall of Fame inductee will be honored at The CMO Awards Dinner November 13th, 2018 in New York City. Previous Previous post: A Warm Welcome to All Our New and Renewed Members in August! You are registering for: Announcing Your 2018 CMO Awards Finalists!